The Department of Higher Education is designated by law as the State Approving Agency (SAA) responsible for approving and supervising programs at educational institutions and training establishments in Massachusetts which offer education and training to veterans and other eligible persons under the GI Bill. These programs must have SAA approval before veterans and other eligible persons may receive educational benefits (GI Bill) from the U.S. Department of Veterans Affairs under the authority of Title 38, U.S. Code and Chapter 1606 Title 10. 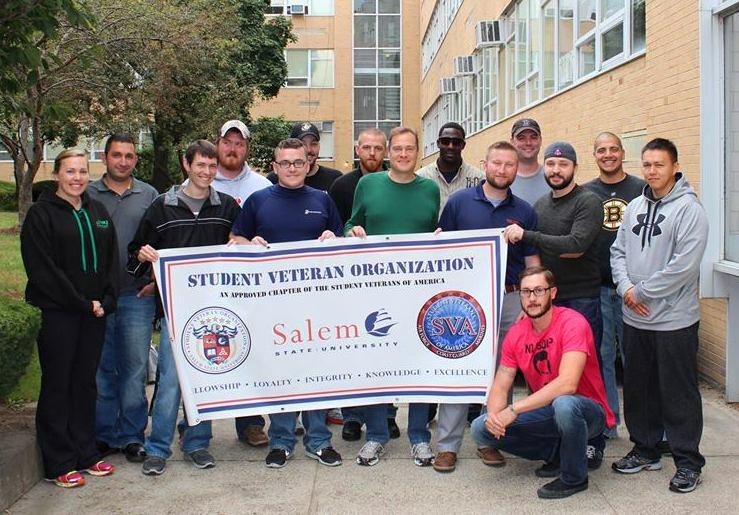 Through outreach and advocacy, the SAA also promotes veterans education and related benefits in Massachusetts so that all veterans, service members, and dependents know what state and federal programs and other resources are available to further their education and training goals. The SAA also informs veterans and students regarding new programs in veterans education. Outreach efforts target veterans and key members of the education and training community to communicate all programs to best meet the needs of our veterans. The Veterans Access, Choice, and Accountability Act of 2014 (Public Law 113-146) changed the amount of tuition and fee charges which can be reported to the U.S. Department of Veterans Affairs (VA). Effective July 1, 2015, public institutions of higher education must charge qualifying veterans and dependents tuition and fees at the rate for in-state residents. Any institution not meeting this requirement will be disapproved by VA for the Post-9/11 GI Bill and Montgomery GI Bill. A Veteran receiving benefits under the Montgomery GI Bill (Chapter 30) or the Post-9/11 GI Bill (Chapter 33) who lives in the state in which the institution is located (regardless of his/her legal state of residence) and enrolls in the institution within three years of discharge from a period of active duty service of 90 days or more. A spouse or child using transferred benefits under the Post-9/11 GI Bill (Chapter 33) who lives in the state in which the institution is located (regardless of his/her legal state of residence) and enrolls in the institution within 3 years of the transferor’s discharge from a period of active duty service of 90 days or more. A spouse or child using benefits under the Marine Gunnery Sergeant John David Fry Scholarship who lives in the state in which the institution is located (regardless of his/her legal state of residence) and enrolls in the institution within three years of the Servicemember’s death in the line of duty following a period of active duty service of 90 days or more. If the veteran or dependent enrolls within three years after the veteran’s discharge, the requirement to charge no more than the in-state tuition rate would apply for the duration the individual remains continuously enrolled at the institution. Federal law permits public institutions of higher education to require eligible veterans or dependents to demonstrate intent to establish residency in the state by means other than satisfying a physical presence requirement. For example, institutions can request documentation such as a driver’s license, car registration or voter registration, signed lease or rent receipt to help establish an applicant’s intent to establish residency in Massachusetts. Please note that the federal law does not include a durational residency requirement, nor does it include a requirement that eligible veterans demonstrate an intent to remain in Massachusetts indefinitely. Finally, please note that the federal law does not bar institutions from requiring eligible veterans to meet other requirements, unrelated to residency, in order to be eligible for the in-state tuition rate.